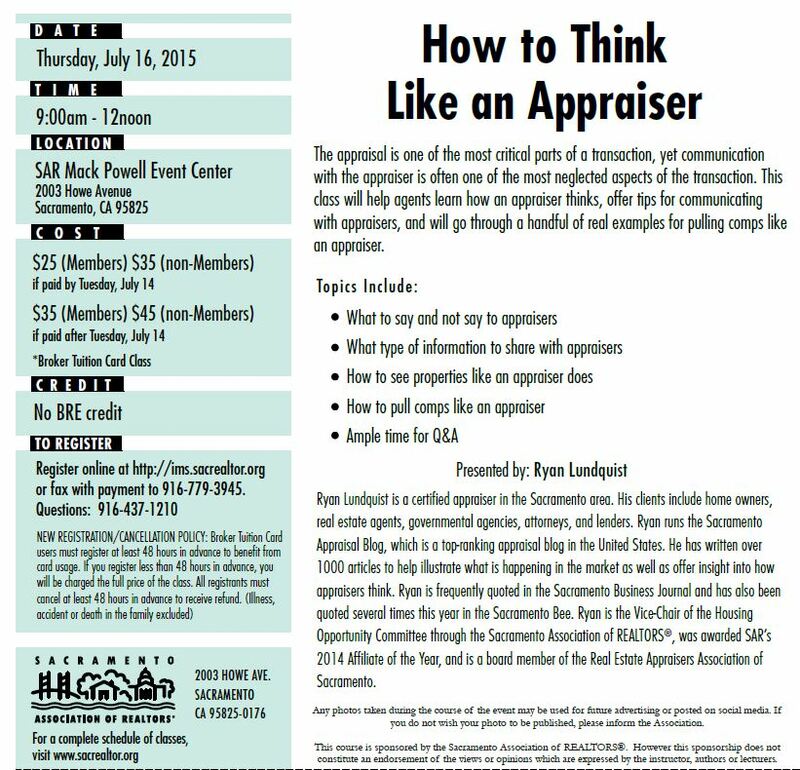 How do appraisers account for a difference in age between comps? There are so many factors to consider when valuing a property. Anyone who works in real estate knows this. So how do we account for a difference in age between comps? Does age matter? Should we make any value adjustments? Someone asked me this recently, so I figured it was worth kicking around the issue together. I’d love to hear your take in the comments below. Question: How do appraisers account for a difference in year built? Do appraisers give an adjustment when to comps there is an age difference? Answer: Here’s my take. Most of the time buyers tend to buy based on condition instead of age. Thus if there is a difference of a few years or so within a subdivision, it might not have any impact on value as long as the condition is similar. For instance, in some tracts we see an age range of 1977 to 1983. If one house was built in 1977 and another in 1983, and they are in the same condition, it’s unlikely to see the 1983 home command a value premium unless for some reason it has a higher quality or if it is located on a stronger street. Sometimes buyers are actually not even aware of the age of the home. They’re really just looking at the neighborhood and buying what is there. Do you agree? My $500 Adjustment: I’ll admit when I first began appraising I used to adjust $500 per year on all comps in every appraisal because that’s what I was taught to do. In very technical terms, this valuation methodology is…. bogus. After all, a $500 adjustment per year certainly doesn’t apply to every neighborhood, every market, or every property type. These days though I rarely make any adjustment for year built since most of the time I’m looking at condition instead. However, if the age gap is too large, there may be a difference in value, and we we have to begin asking if we should even be comparing the homes in the first place. For instance, is 1977 vs. 1990 a good comparison? What about 1990 vs. 2003? Maybe not because we might be dealing with a different quality of construction, different tracts, or different markets. But at the same time, we might see homes in one area were built in 1955 and another nearby area has homes built in 1972. If there is no price difference observed between both areas, then the homes may easily be competitive despite their age gap. The thing we need to do though when valuing a 1955 home is to be sure to find 1955 sales instead of just 1972 sales (this helps prove the market really does pay the same amount for both ages). Subjective Mush: I know this begins to sound very subjective, but there is no rule out there when an adjustment is needed other than when buyers at large have clearly paid more or less because of a feature. In reality it can be tempting to make value adjustments for every single distinction, but sometimes it’s best to not force adjustments by remembering the market isn’t so sensitive as to warrant a price reaction for every single difference. However, a good rule of thumb when searching for comps is to take an “apples to apples” approach. This means we start by searching for similar-sized homes with a similar age rather than choosing newer or older sales that really might not be competitive. I know this sounds basic, but when we keep the fundamentals in mind, it keeps us sharp (right?). Brand New Homes: As I mentioned recently, we do need to be careful about comparing brand new homes with ones that are even a year or two old because brand new homes tend to sell at a price premium. This means despite only 1-2 years difference in age, we might see a pretty big difference in value. Questions: Anything else you’d add? When do you think age does matter to buyers? Any stories or examples?